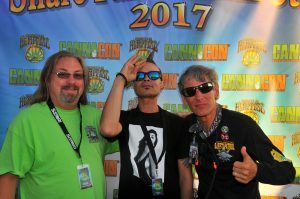 Vending, Stage, & VIP Exposure: Prime 10×10 booth placement. We provide & set up a 10×10 canopy, complete with sidewalls as well as tables, chairs, & poles to hang your booth banner. Banner on your chosen stage – this is exclusive to sponsors. Your business name called out from the stage hourly. Two invitations to our Friday night onsite VIP Party. Event Program & Map Exposure: ¼ page ad ( ½ for Main) in our full color, glossy event program. This is a magazine style keep sake. Logo on our Sponsor page. Location highlighted on the Event Map. Advertising, Online & Print Exposure: Logo on our promotional poster. Logo & link on the footer bar of our website – which is seen on all our web pages. A web ad, 238×520 or 300×250 on our Festival pages. Your web ad shared through our social media channels with ~200,000 followers. Prime listing in our Booth Directory. Web map hyperlink to your site with a brief description of your business. 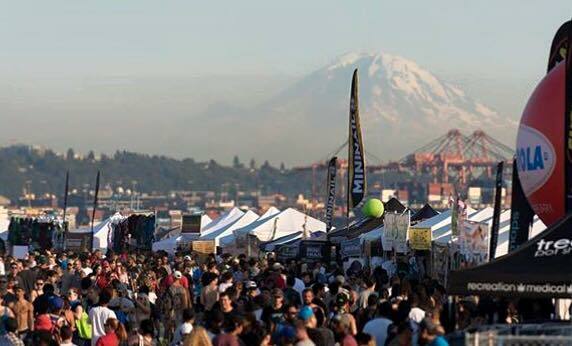 Additional Vending Exposure: We’ll upgrade your space to a 10×20, give you top banner placement, and your get to be The Seattle Hempfest Main Stage Presented by “Your Business Name” in the stage shout outs and on our Stage Line up both in print & on the website. Your program ad is also doubled in size and we’ll give you twice the VIP & Social Media love too! Event Wide Exposure: Three, 10×10 spaces, at the stages of your choice. Can be a 10×20 with a 10×10 or a 10×30. Banners on all 3 stages. Name & phrase shout outs from all 3 stages. A full page program ad & a ¼ page article. Your web ad on our home page. Again you can double the VIP & Social Media love. Back Stage Exposure: Not only will your banner be back stage but your logo will be along side ours on our photo back drop – exclusive to each back stage area. Where all the speakers, performers, & celebrities take pictures before & after being on our stages! You’ll also get shout outs from your stage 3 times a day. You’re free to coordinate decorating, food, schwag centers, & whatever other creative scheme you can come up with to bling your brand alongside our stage. Advertising, Online & Print Exposure: Logo & link on the footer bar of our website & our sponsors page. A web ad, 238×520 or 300×250 on our Festival/Get Involved pages. Your web ad shared through our social media channels with ~200,000 followers. Special Thank You in our event program including your logo & product/promotional image. Includes 2 admissions to our Friday night VIP Party. Staff Shirt & Festival Exposure: Your logo on the back of our staff shirt! 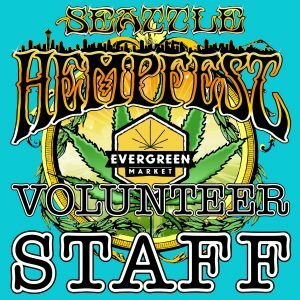 Be seen by everyone throughout Seattle Hempfest as our volunteer staff proudly sports your logo on our annual collectable staff shirts. Banners in both the north & south end at your sponsored compounds – which are all along paths – giving you exceptional exposure! 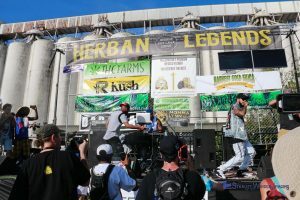 Sponsor our official after party in the Hemposium, Friday August 16, after Hempfest closes! 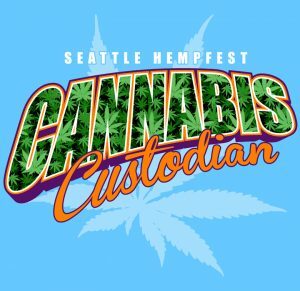 It’s an exclusive night of Hempfest magic for the who’s who of our movement. 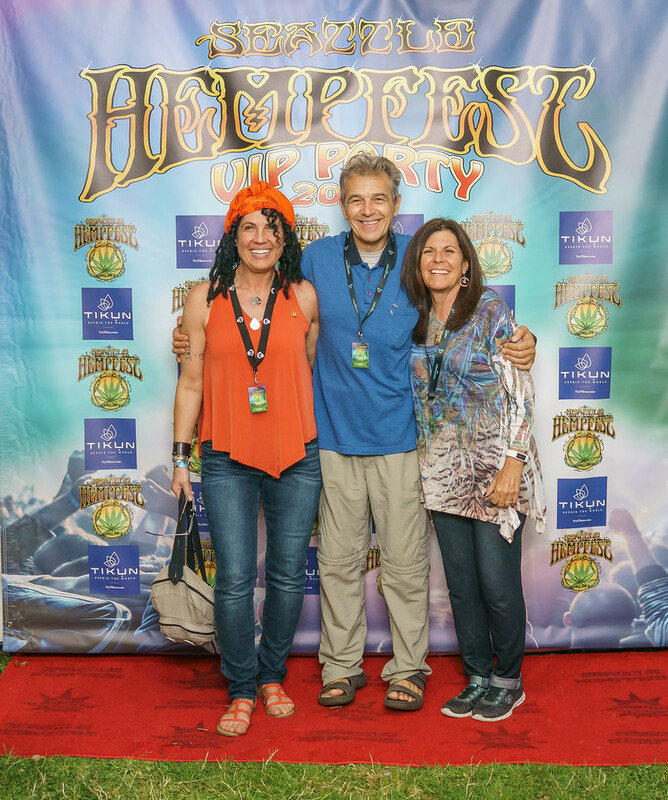 Speakers, Artists, Sponsors, & VIP’s intermingle under the stars! 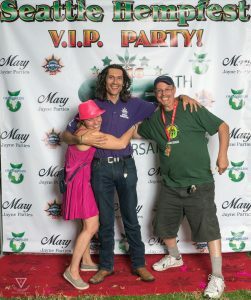 Supporting Sponsorship $3,000 – Exposure at the Party: Table & chairs waiting for you to market yourself towards the movers & shakers of the cannabis industry. Small logo on the photo back drop. Banner inside the party. Advertising, Online & Print Exposure: Logo & link on the footer bar of our website & our sponsors page. A web ad, 238×520 or 300×250 on our Festival/Get Involved pages. Your web ad shared through our social media channels with ~200,000 followers. Special Thank You in our event program including your logo. Includes 4 admissions to our Friday night VIP Party. 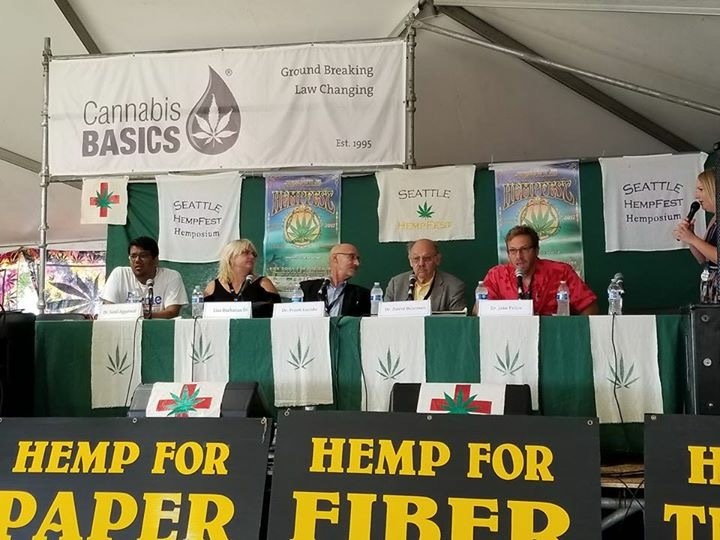 Presenting Sponsorship $6,000 – Exposure at the Party: Table & chairs waiting for you to market yourself towards the movers & shakers of the cannabis industry. Large logo on the photo back drop. Banner inside the party. Advertising, Online & Print Exposure: All tickets, Presenting Title. Presenting Title on all advertising. Logo & link on the footer bar of our website & our sponsors page. A web ad, 238×520 or 300×250 on our Festival/Get Involved pages. Your web ad shared through our social media channels with ~200,000 followers. Special Thank You in our event program including your logo & product/promo image. Includes 8 admissions to our Friday night VIP Party. 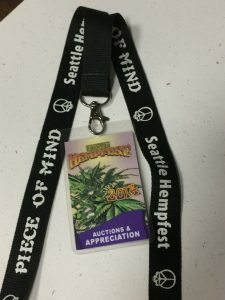 Hempfest Lanyard Sponsorship $2,500 – Exposure throughout Seattle Hempfest: Your business name & logo on the Seattle Hempfest 2018 Lanyard. These are worn by Speakers, Sponsors, Media, Performers, Celebrities, Volunteers, & Stage Guests – virtually everyone who get’s a pass will be wearing your name! Includes 2 VIP Party admissions. Advertising, Online Exposure: Logo & link on the footer bar of our website & our sponsors page. Includes 2 admissions to our Friday night VIP Party. We’ll bring your banner and merchandise to two of our licensed events. We’ll do sales & promotions for you in our Sponsor booth. 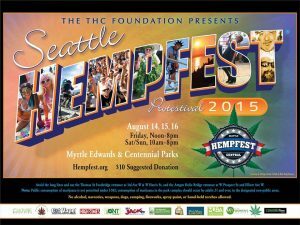 Brand alongside Seattle Hempfest at other Hempfest events! 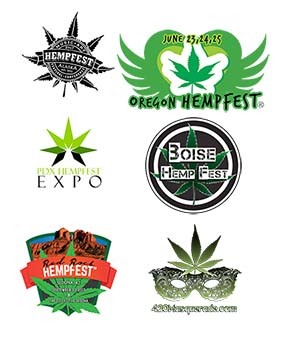 Our licensed partners currently include The Boise Hempfest, The Alaska Hempfest in Wasilla, Viva Las Hempfest in Las Vegas, Oregon Hempfest in the Umpqua Valley, & The Red Rock Hempfest in Sedona Arizona. 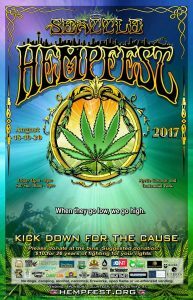 The Jamaica Hempfest (Jamaica will be priced separately) in Montego Bay and Atlantic City Hempfest in New Jersey are in the works! Includes table & banner placement, logo & link on the footer bar of our website, our sponsors page, our licensed events page, & on the event pages for you chosen events. Your ad shared through our social media channels with ~200,000 followers. Special Thank You in our event program including your logo & product/promo image. Includes 2 admissions to our Friday night VIP Party in Seattle. 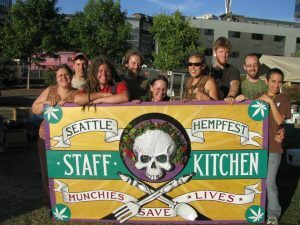 Festival Exposure: Show your love for the volunteers who come together and create Seattle Hempfest. Banner placement in three locations, inside the volunteer hospitality area where we serve our 1,000 volunteers, 4 meals per day, along the Operations fence line on the busy 420 Highway, on either the Seeley Black, or Main Stage fence line, your choice!